Get ready for 2012 by entering to win tons of prizes! 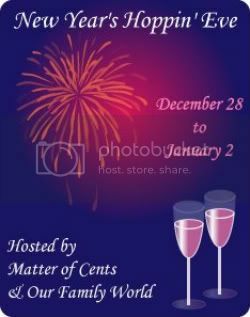 The "New Year's Hoppin' Eve" Giveaway Event is hosted by Matter of Cents and Our Family World. More than 100 blogs have joined together to give their readers several chances to win! SwagBucks is also sponsoring a Kindle Fire as the Grand Prize! Will luck be on your side when the Winners are chosen? You can't win if you don't enter. Good luck! SwagBucks.com is the online rewards community that works, rewarding people for all of the things they're already doing online - search, games, watching videos, shopping, surveys and more! The Swag Bucks earned by users have helped purchase everything from diapers to video games - it's easy, it's rewarding, and it's 100% free! I love to use Swag Bucks to earn gift cards, it's an awesome site to earn points easily! 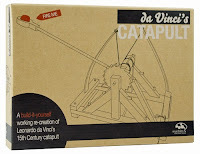 My giveaway is a da Vinci's Catapult sponsored by Marbles The Brain Store. 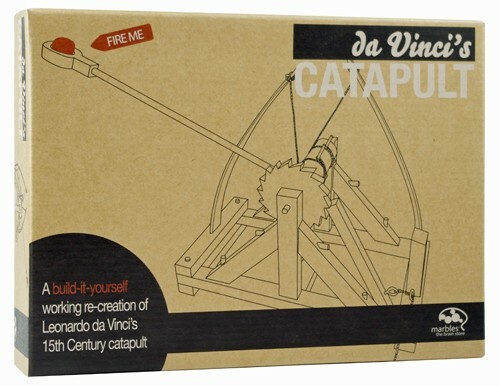 This catapult is awesome! I was given one for review and read that it was for 12 years and older, so I decided to give it to my 13 year old stepson. 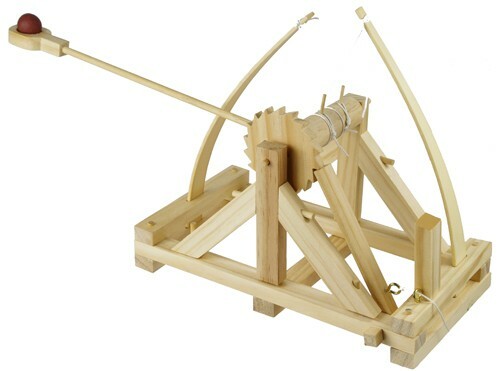 He was able to construct the catapult in 30 to 35 minutes. He has enjoyed it immensely and so has his older brother and my husband! This is some serious fun for all ages! Marbles The Brain Store holds giveaways on their website a different times, so make sure you visit their site! There are so many great items to choose from! You can also find them on Twitter: @TheBrainStore and Facebook: Marbles The Brain Store. To enter to win the grand prize of a Kindle Fire sponsored by SwagBucks, head over to Matter Of Cents. Be sure to visit the blogs listed in the linky below to enter for more great prizes.